Looking for Miniature Golf Course Design Ideas? If you want the best miniature golf course design ideas, come to Mini Golf Creations. We have decades of experience across many aspects of the golfing industry, and are design experts. 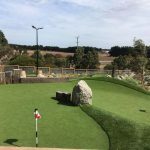 So no matter how big or small your vision is for a mini golf course, we can design the perfect course for you. Why come to us for mini golf design ideas? When you’re thinking of investing in a project like a mini golf course, you want to know that you can trust your designers. With Mini Golf Creations, you’re in very safe hands. Our two founders, Geoff Bennell and Richard Chamberlain, have been involved in the golf industry for most of their lives. And they’ve now teamed up to bring their unparalleled knowledge, skills and expertise to Mini Golf Creations. Richard has several decades experience designing real golf courses, and started his own company in 2009, Richard Chamberlain Golf Design. With our skills and know-how, we can provide mini golf course design ideas like no one else. 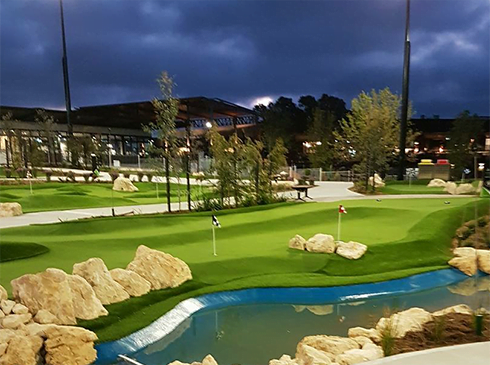 We’re at the cutting edge of mini golf course design, delivering courses that are both modern and timeless. Most of all, we understand what kind of experiences mini golf course clientele are looking for these days. And—surprise, surprise—it’s not plastic animals, clowns, windmills, or other cheap gimmicks that feature heavily in the old putt putt style courses. Instead, players want lush, beautiful courses that have real-golf gameplay. 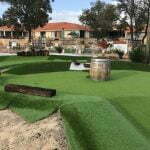 Do you need help with mini golf course design ideas? No matter what stage you’re at, we can help you with mini golf course design ideas. 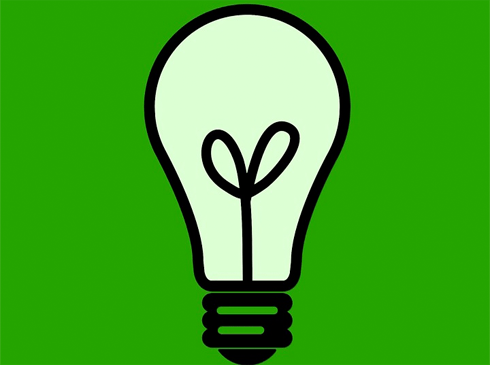 If you simply know that you want a course, but have no idea where to start or what it should look like, we can help. If you have a rough idea of what you’d like your mini golf course to look like, we can help flesh it out. And if you have detailed concept plans outlining your mini golf course design, we can help fine-tune it. 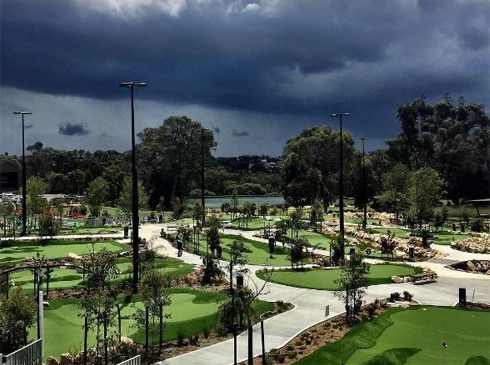 Find out more about our capability to deliver world-class miniature golf course design ideas. Want custom mini golf design ideas? We don’t just peddle out the same mini golf course design ideas for every client. We tailor our products to your needs, delivering the highest quality custom designs. what elements and features you’d like. Let’s work together to create your ideal miniature golf course design. Contact us to discuss your ideas and book in for a consultation.